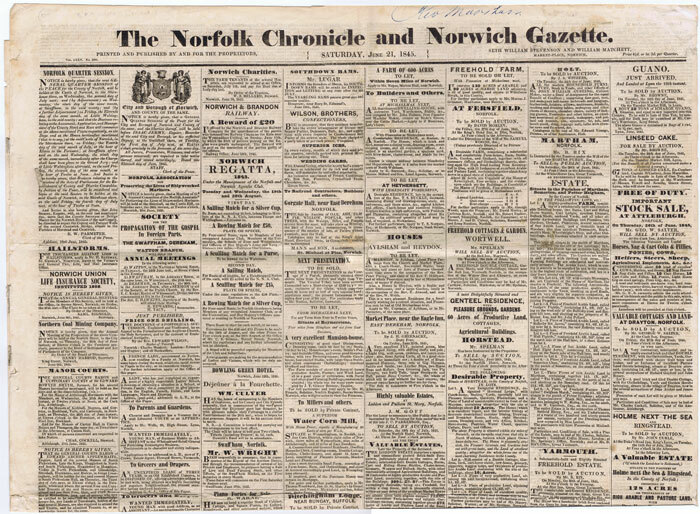 1845 - Norfolk Chronicle and Norwich Gazette. Saturday June 21 4 large pp. Complete.Includes Post Office notice re use of the Money Order Office. Many fascinating adverts. Report of cricket match and much more.